The prongs are inspired by the fountain found at the Hershey Hotel where they had their first date. The colorful gemstones on the inside celebrate the moment they shared their first dance, a memorable trip to Hawaii, and their engagement. Hand-carved on the inside of the band is a meaningful inscription, a lyric to their song. The two gemstones on the side profile are for their children, honoring the family they have created together. 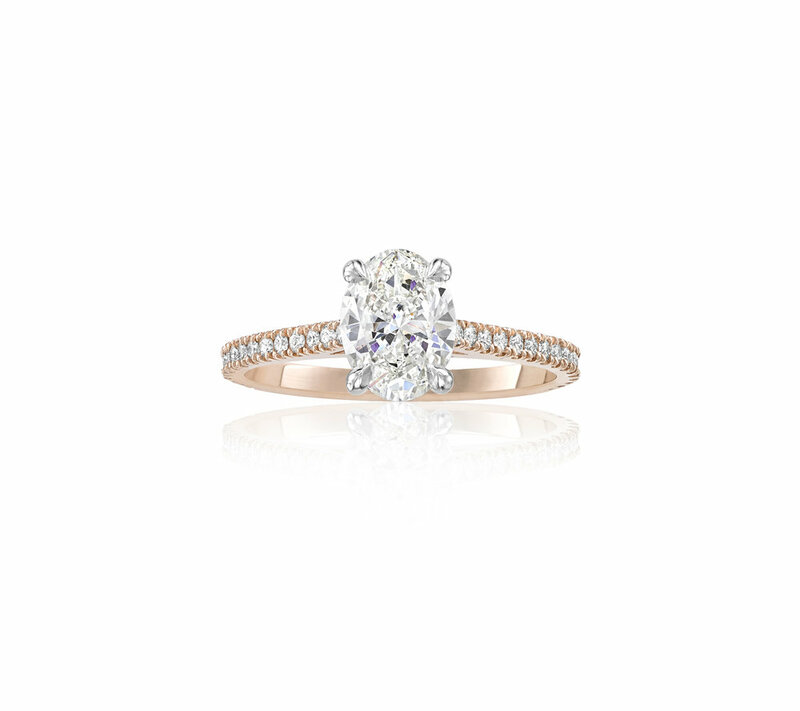 The California Ring features an oval diamond and small round brilliant diamonds set in rose gold.